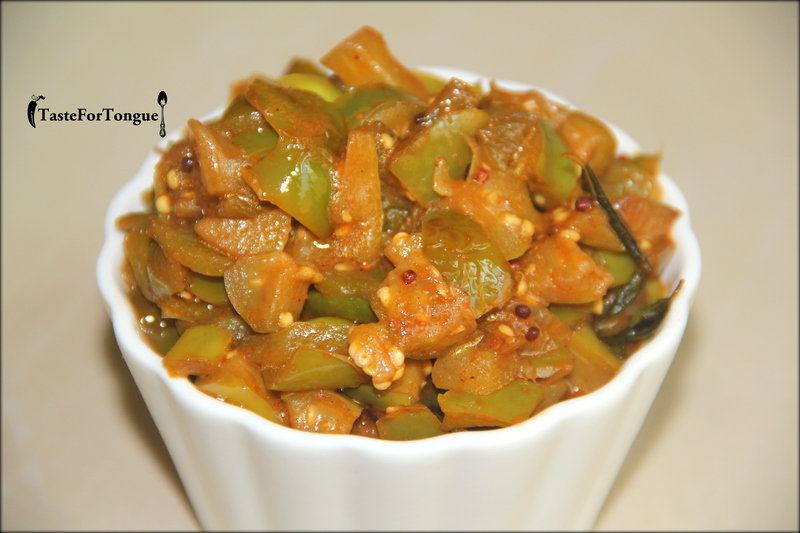 Brinjal is good for sambar, palya, gojju and many recipes. 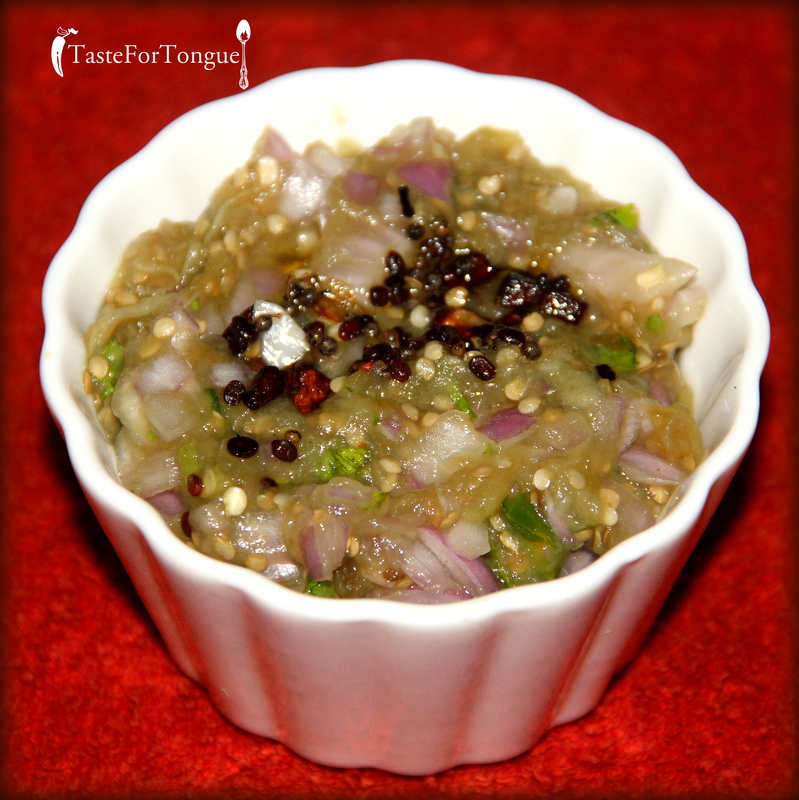 Today’s recipe is brinjal gojju (more than gojju it looks like palya). Recently I learned this recipe from one of my relatives. She is from Mysore so I think the recipe is in Mysore style. First time I tried this out and it came really well. She served it with Bisilebe bath, but I am sure you can have it with plain rice as well. There is lot of gravy but that settled down while taking the picture and now it looks more dry. Take a deep pan and add a tablespoon of oil and when it heats add mustard, urd dal and curry leaves. Then add chopped brinjal, onion,green chillies and capsicum and fry well. Don’t let it burn or turn to brown, so keep on stirring. Once it is fried add vangi bath powder and tamarind water (almost a small cup) and close the lid and let it cook for 3-4 minutes ( if needed add a bit of water so that it doesn’t dry). Brinjal capsicum gravy is ready to be served with hot rice and sambar.